Such an incredible time at the January 2017 Bridesclub Wedding Expo! From the moment you walk into the expo, you are bound to meet the industries local vendors, catch great deals and grab some yummy samples. Most first time Brides and their wedding parties and family scouring looking for the best of the best and hoping to mark off a few vendors off their list. It was so great to meet so many couples willing to take time to chat a bit about their wedding, their needs and themselves. Some of which stories were told of those battling with cancer, but still going on with planning their wedding. Those newly engaged and needing a little guidance and direction. Some couples traveling all the way from California to ensure family and friends can enjoy their special day here in Washington State. Vendors also look forward to this occasion as an opportunity to talk one on one with potential clients, offer pricing and service information and also to network with other vendors. Showcasing their many talents and having the chance to make bookings with couples and make connections in the industry make for an exciting and memorable expo. This time of year is filled with new beginnings and possibilities. Essence of Events, LLC looks forward to being as much a part of these whether you are a couple or vendor. Here's to making 2017 a very good year! For some the idea of a going to a wedding expo is overwhelming. But if gone about in the right way a wedding expo can be a great opportunity to help you with your wedding planning process. Take your time, set aside a morning or afternoon and commit to looking at all the vendors, you never know who might surprise you or be tucked away at the end of an aisle. Most vendors are offering show prices or specials just for those who attend the show. What a great chance to save some money! Bring someone with you, whether it be your maid of honor, fiancé or mother, it’s always good to have a second pair of eyes and voice of reason. Most importantly, get to know your vendors; they are there to talk to you! They enjoy hearing about your wedding and what ideas you might have. I’m not saying stop and have a 20 minute conversation with every vendor, but those who you do choose to book or use, take the time to get to know why it is they do what they do. This can only further your trust with your vendors and help you feel at ease with your decision. Go to more than one show, very few brides feel content just going to one show, no two shows or vendors,at the shows,are the same. We hope that you will get a chance to check out some of the great shows this wedding season. We look forward to seeing you there! With the excitement of being engaged you purchase your tickets, weeks later you walk through the doors of the convention center. Maid of honor on your right side and your mother on the left, notepad in hand. Before you, a sea of anticipation, floral arrangements, place settings and grooms who are there for the single most important thing of all….Food and CAKE!! Before you know it you’re swept away down the aisle, mom and MOH are playing tug-o-war with your arms, while your stomach is telling you to head straight for the caterers. 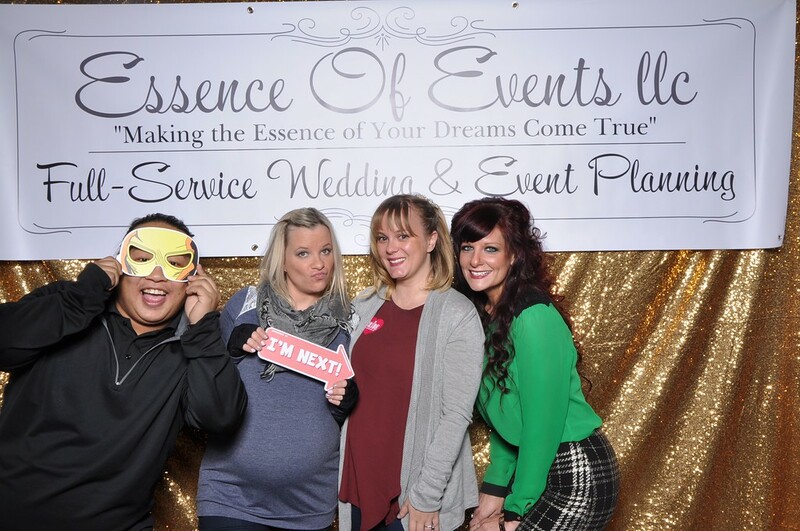 Once you’ve managed to regain control of reality…and your arms, you set out on your first wedding expo adventure. From venues, to entertainment expos have it all! You can even find those lanterns for your centerpieces you’ve been obsessing about on Pinterest. You can book a tux fitting for the fiancé, set up appointments for cake tasting and even spot what could be thee dress. You may even realize something is missing. Or should I say someone. The person who can help bring it all together, someone who has professional vendor connections, discounts, master décorator and can help you stay within your already growing budget. Its at this moment that you can find yourself standing in front of Essence of Events LLC. Be sure to take your chance to talk with one of the lovely planners at their booth and even book your first free intitial consult with them!